Jamie Foxx plays Django, a slave who is being led across Texas in a chain gang, when his master meets Dr King Schultz, a German played with dapper and dainty eccentricity by Christopher Waltz. Claiming to be a travelling dentist, Schultz is driving a bizarre wagon with a huge model of a molar on the top. He buys Django and promises him his freedom in return for a favour: he needs Django to help him track three white slave-overseers with whom he has business. 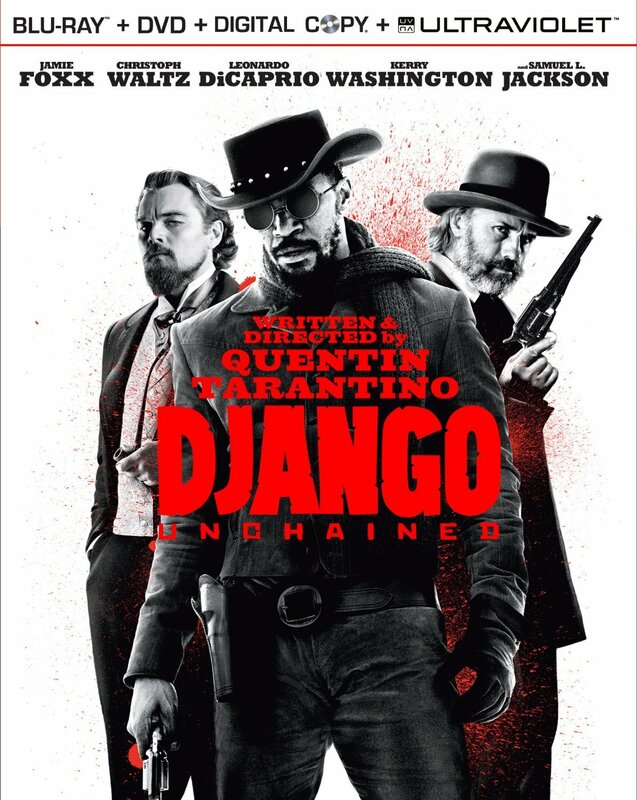 Django proves himself an able assistant and a brilliant gunfighter and Schultz is electrified to learn that Django is married to a woman (Kerry Washington) whose German owners taught her the German language and named her Brünnhilde, which her subsequent ignorant purchasers mishear as “Broomhilda”. She was spitefully sold off separately because she, like Django, was always defiantly running away. Now she has been branded on the face as a punishment and forced to work as a “comfort” girl. Moved by her association with the Fatherland, Schultz vows to help Django find Broomhilda and wreak terrible vengeance on the people who mistreated her, a quest during which Schultz creates outrage in a small town, by riding in and permitting his black associate to ride a horse alongside him, a privilege which outrages the local racists and leads to a thrilling standoff. The quest also brings them into contact with a staggeringly incompetent KKK posse and then into the heart of darkness, the Candieland plantation, ruled by Candie and The film reaches an exciting climax on Candie’s plantation. I am a great admirer of English poet, writer and broadcaster Sir John Betjeman, CBE., who sadly passed away on 19 May 1984, aged 77 so I thought I woould pay tribute. Born 28 August 1906, He was a founding member of the Victorian Society and a passionate defender of Victorian architecture. He Started his career as a journalist, and ended it as one of the most popular British Poets Laureates and a much-loved figure on British television. Betjeman’s early schooling was at the local Byron House and Highgate School, where he was taught by the poet T. S. Eliot. After this, he boarded at the Dragon School preparatory school in North Oxford and Marlborough College, a public school in Wiltshire. In his penultimate year, he joined the secret ‘Society of Amici’ in which he was a contemporary of both Louis MacNeice and Graham Shepard. While at school, his exposure to the works of Arthur Machen won him over to High Church Anglicanism, a conversion of importance to his later writing and conception of the arts. Upon the outbreak of World War II In 1939, Betjeman was rejected for active service but found work with the films division of the Ministry of Information. During his time he wrote a number of poems based on his experiences in “Emergency” World War II Ireland including “The Irish Unionist’s Farewell to Greta Hellstrom in 1922″ (actually written during the war) which contained the refrain “Dungarvan in the rain”. After the war Betjaman published more work and By 1948 he had published more than a dozen books. Five of these were verse collections and The popularity of the book prompted Ken Russell to make a film about him, John Betjeman: A Poet in London which was first shown in England on BBC’s Monitor programme. He continued writing guidebooks and works on architecture during the 1960s and 1970s and started broadcasting. He was also a founder member of The Victorian Society (1958). In 1973 he made a widely acclaimed television documentary for the BBC called Metro-land, directed by Edward Mirzoeff. Betjeman was also fond of the ghost stories of M.R. James and supplied an introduction to Peter Haining’s book M.R. James – Book of the Supernatural.Betjeman also wrote a great many poems which are often humorous and in broadcasting he exploited his bumbling and fogeyish image. His wryly comic verse is accessible and has attracted a great following for its satirical and observant grace. Betjeman s religious beliefs come through in some of his poems .Betjeman became Poet Laureate in 1972, the first Knight Bachelor ever to be appointed (the only other, Sir William Davenant, had been knighted after his appointment). This role, combined with his popularity as a television performer, ensured that his poetry eventually reached an enormous audience. Betjeman also had a fondness for Victorian architecture and was a founding member of Victorian Society and also wrote on this subject in First and Last Loves (1952) and more extensively in London’s Historic Railway Stations in 1972, defending the beauty of the twelve of London’s railway stations. He led the campaign to save Holy Trinity, Sloane Street in London when it was threatened with demolition in the early 1970s. He fought a spirited but ultimately unsuccessful campaign to save the Propylaeum, known commonly as the Euston Arch, London. He is considered instrumental in helping to save the famous façade of St Pancras railway station, London and was commemorated when it re-opened as an international and domestic terminus in November 2007. He called the plan to demolish St Pancras a “criminal folly”. ” On the re-opening St Pancras in 2007, a statue of Betjeman was commissioned from curators Futurecity. A proposal by artist Martin Jennings was selected from a shortlist. The finished work was erected in the station at platform level, including a series of slate roundels depicting selections of Betjeman’s writings.Betjeman responded to architecture as the visible manifestation of society’s spiritual life as well as its political and economic structure. He attacked speculators and bureaucrats for what he saw as their rapacity and lack of imagination. He is buried in the churchyard at St Enodoc’s Church. The late great American vocalist and songwriter Joey Ramone from The Ramones was born on this date 19th May in 1951. The Ramones were an American rock band that formed in the New York City neighborhood of Forest Hills, Queens, in 1974, and are often cited as the first punk rock group. Despite achieving only limited commercial success, the band was a major influence on the punk rock movement both in the United States and the United Kingdom. All of the band members adopted pseudonyms ending with the surname “Ramone”, though none of them were related. They performed 2,263 concerts, touring virtually nonstop for 22 years. African-American Muslim minister and human Civil rights activist Malcolm X was Born on this date 19th May in 1925. To his admirers, he was a courageous advocate for the rights of African Americans, a man who indicted white America in the harshest terms for its crimes against black Americans. Detractors accused him of preaching racism, black supremacy, antisemitism, and violence. Malcolm X’s father died—killed by white supremacists, it was rumored—when he was young, and at least one of his uncles was lynched. Pete Townshend, guitarist, keyboard player and vocalist with The Who was born this date 19th May in 1945 (Which is a great excuse for me to post some fantastic songs). They were formed in 1964 by Roger Daltrey (lead vocals, harmonica and guitar), Pete Townshend, John Entwistle (bass guitar, brass and vocals) and Keith Moon (drums and percussion). They became known for energetic live performances which often included instrument destruction. The Who have sold about 100 million records, and have charted 27 top forty singles in the United Kingdom and United States, as well as 17 top ten albums, with 18 Gold, 12 Platinum and 5 Multi-Platinum album awards in the United States alone. 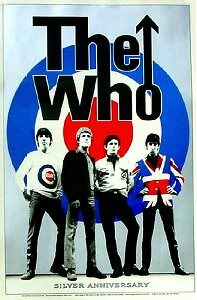 The Who rose to fame in the UK with a series of top ten hit singles, boosted in part by pirate radio stations such as Radio Caroline, beginning in January 1965 with “I Can’t Explain”. The albums My Generation, A Quick One and The Who Sell Out followed, with the first two reaching the UK top five. They first hit the US Top 40 in 1967 with “Happy Jack” and hit the top ten later that year with “I Can See for Miles”.Their fame grew with memorable performances at the Monterey Pop, Woodstock and Isle of Wight music festivals. The 1969 release of Tommy was the first in a series of top ten albums in the US, followed by Live at Leeds, Who’s Next, Quadrophenia, The Who by Numbers, Who Are You, and The Kids Are Alright. Moon died at the age of 32 in 1978, after which the band released two studio albums, the UK and US top five Face Dances and the US top ten It’s Hard, with drummer tKenney Jones, before disbanding in 1983. They re-formed at events such as Live Aid and for reunion tours such as their 25th anniversary tour and the Quadrophenia tours of 1996 and 1997. In 2000, the three surviving original members discussed recording an album of new material, but their plans temporarily stalled upon Entwistle’s death at the age of 57 in 2002. Townshend and Daltrey continue to perform as The Who, and in 2006 they released the studio album Endless Wire, which reached the top ten in the UK and US.The Who were inducted into the Rock and Roll Hall of Fame in 1990, their first year of eligibility; the display describes them as “Prime contenders, in the minds of many, for the title of World’s Greatest Rock Band.” Time magazine wrote in 1979 that “No other group has ever pushed rock so far, or asked so much from it.” Rolling Stone magazine wrote: “Along with The Beatles and The Rolling Stones, The Who complete the holy trinity of British rock.” They received a Lifetime Achievement Award from the British Phonographic Industry in 1988, and from the Grammy Foundation in 2001, for creative contributions of outstanding artistic significance to the field of recording. In 2008 surviving members Townshend and Daltrey were honoured at the 31st Annual Kennedy Center Honours. That same year VH1 Rock Honours paid tribute to The Who and Jack Black of Tenacious D called them “the greatest band of all time.